Subaru of America, Inc. has announced the 2016 WRX and WRX STI models, feature the newest available safety technology, including Blind Spot Detection, Lane Change Assist and Rear Cross Traffic Alert. In addition, STARLINK touch screen infotainment systems offer a significantly enhanced user experience in all models. The 2016 models will arrive at Subaru dealerships this summer. The 2016 WRX joins other Subaru models in offering the company’s EyeSight system, one of the highest-rated front crash prevention systems by the Insurance Institute of Highway Safety (IIHS). EyeSight, which is integrated with Adaptive Cruise Control, Pre-Collision Braking and Lane Departure warning, uses Subaru-developed stereo camera technology. Newly added to the 2016 WRX EyeSight system is Lane Keep Assist, which uses the vehicle’s electric power steering system to help the driver keep the vehicle within its lane when driving on the highway. EyeSight is available for the WRX Limited (with Sport Lineartronic transmission) in a package that also includes Navigation and Blind Spot Detection, Lane Change Assist and Rear Cross Traffic Alert. All WRX trim lines for 2016 feature significantly upgraded infotainment capability. 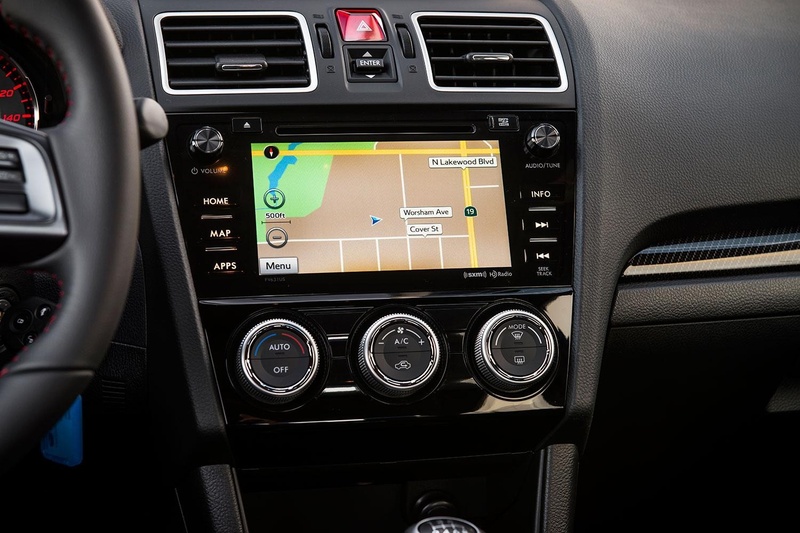 The standard WRX receives a new Subaru STARLINK 6.2” Multimedia system featuring today’s most in-demand user technologies, including: 6.2-in. multi-function touch screen display, AM/FM stereo, SiriusXM Satellite Radio and more.